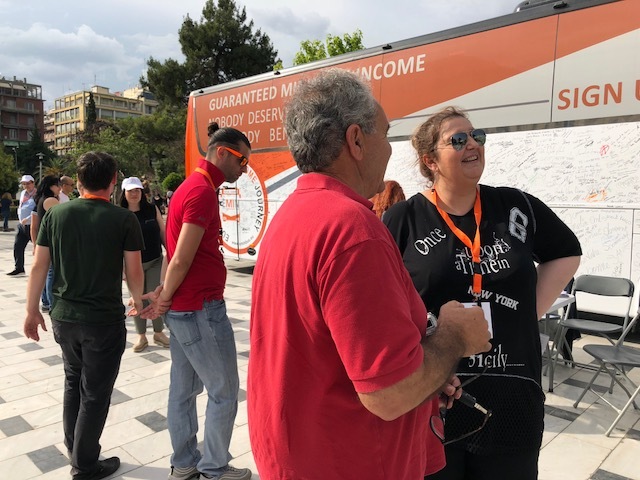 We had a very full rich day yesterday in Thessaloniki. 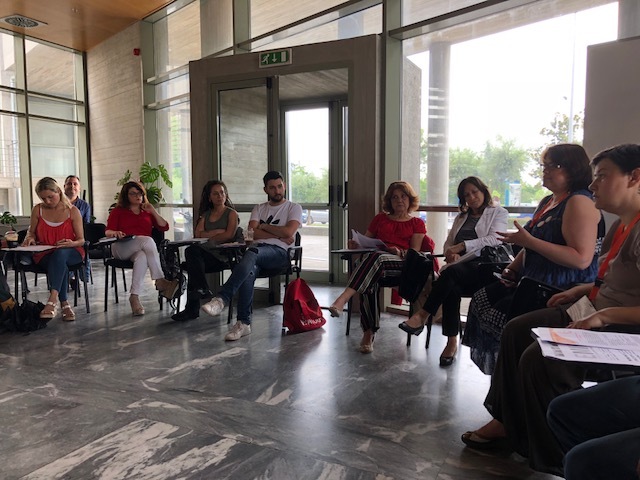 In the morning, there was a discussion organised by Praxis, member of EAPN Greece with representatives of different municipalities, NGOs service providers. They described the community centers, organised by the municipalities, offering services to homeless people, drug users, refugees, Roma… The services they offer varied from psycho social services, health services, cultural interpretation, mental health services and outreach… and supporting people to get access to the Greek Minimum Income Schemes with the great name: Social Solidarity Income. What struck us were the different ways in which the municipalities implement this Social Solidarity Income. This Social Solidarity Income was introduced early 2017, which makes it the most recent system of MIS in Europe. It consists of financial support, in kind benefits and job benefits. Though the financial support is far from adequate, it is an important step forward, and the first time there is a scheme that applies to a big number of people on a monthly base. It was interesting to see how they are still searching how to implement this in the best way, making the schemes as enabling as possible. 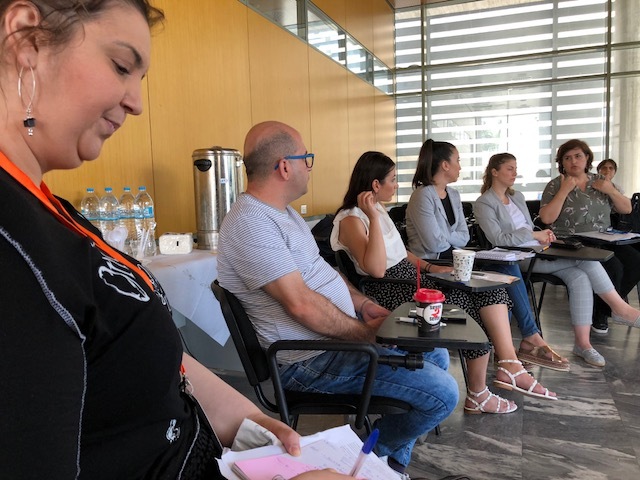 We shared some experiences of other member states, showing how strong conditionality (with the aim of stimulating the beneficiaries to be active in society) sometimes has the opposite effect. 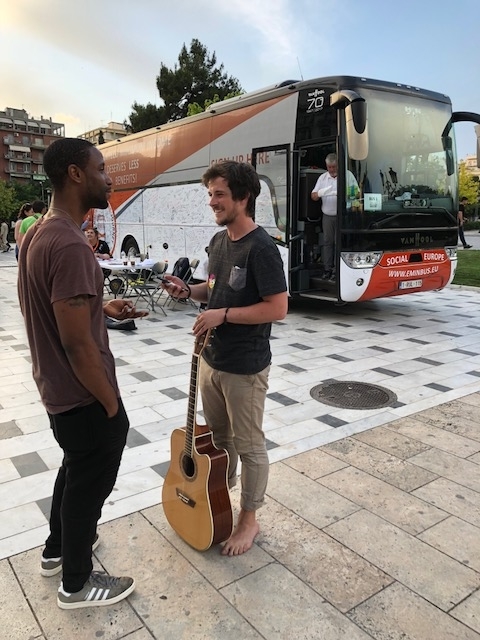 In the afternoon, the bus was parked on the beautiful Aristotelous Square, in the center of the city. 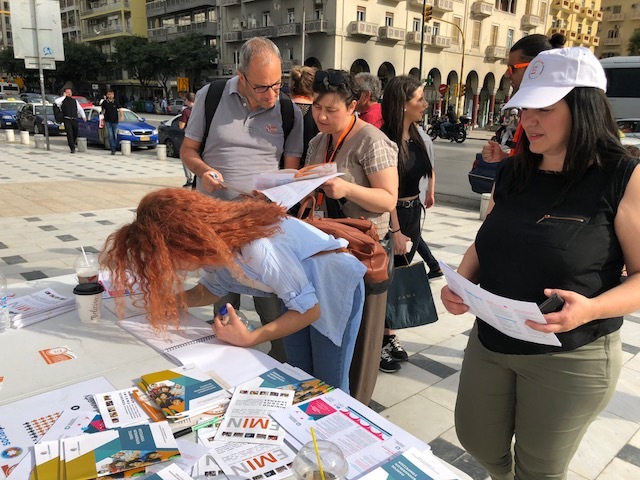 We met a lot of young people there and a colorful mixture of Greeks, refugees, tourists… As in Athens, people shared their concerns about the situation in Greece today, and their disappointment with the European institutions. Who can blame them? It took a while before we got the first petition signature, but after a slow start, we had a lot of positive interaction, and lots of signatures! A bit worrying to feel the presence and impact of politicians opposed to our message, someone called the police to complain about our presence on the square. Luckily, we had the necessary documents, and the police officers could not disagree about the need for decent minimum income for everybody!